A popular local chicken chain is growing in a Chesterfield suburb. 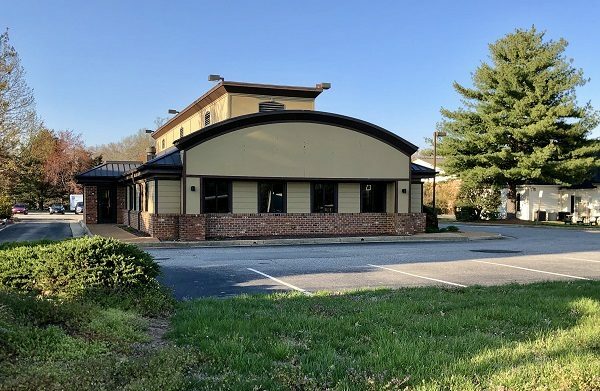 Chicken Fiesta signed a lease this week for its fifth restaurant in the region, this time in the former Pizza Hut at 13350 Midlothian Turnpike in Midlothian. The chain operates its flagship store at 7748 Midlothian Turnpike, which is east of the pending new location, near the Richmond City and Chesterfield County lines. Harold Vega, owner of Chicken Fiesta, said the restaurant plans to invest about $300,000 to overhaul the 3,500-square-foot space to accommodate its signature rotisserie chicken fire pit, additional seating and a drive-thru – a first for the locally based company. Chicken Fiesta is planning to hire about 30 people and open the new store by fall, Vega said. Brian Bock, broker with Taylor Long Properties Commercial Real Estate, represented Chicken Fiesta during the lease transaction. Vega said several of his customers that work at the offices and dealerships in western Midlothian travel daily to the existing Chicken Fiesta location, prompting him to give the former pizza joint a look. Customer convenience was only part of the appeal for Vega. The western half of Midlothian is booming, with thousands of new apartment units either under construction or slated for development. The new site also is located in one of the region’s highest-earning zip codes, which is drawing more retail development. “There is so much growth, so many new houses and businesses that are moving into that area … it became important that we establish a location here,” Vega said. 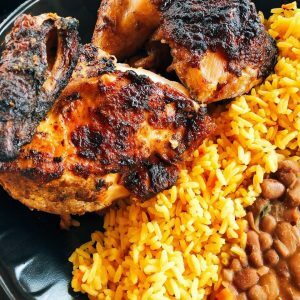 Known for its variety of rotisserie chicken dishes, fried yucca, and smoked and grilled meats, Chicken Fiesta operates four locations: in the Fan, east Midlothian, Henrico and Colonial Heights. Vega said Chicken Fiesta remains focused on establishing a presence in new territory: Hampton Roads, adding that his restaurant has identified potential sites in Williamsburg, Virginia Beach and Norfolk. Chicken Fiesta also could become a household name nationally, as the restaurant ponders franchising throughout Virginia and nationwide. “We’re still getting calls from people that want to franchise with us, which is exciting because we are looking to grow,” Vega said. Work is underway at Chicken Fiesta’s new corporate headquarters and operations center in Swansboro. The company also is re-establishing its corporate operations in Richmond, as it’s moving its home office from its longtime Midlothian Turnpike location to the Swansboro neighborhood just south of Manchester. 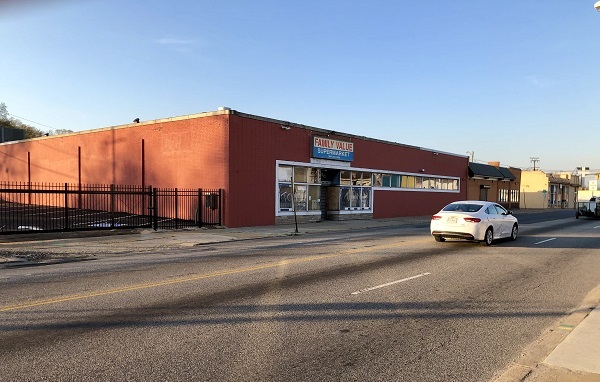 It purchased a 15,000-square-foot property last May at 3113 and 3015 Hull, and 3100 Lawson streets. The restaurant first launched in the Manchester area in the early 2000s. Vega said its new offices and operations center is slated for occupancy in about two months. They will house the restaurant group’s offices, food prep and catering operations, along with storage. Originally, Vega had envisioned hosting a smaller restaurant concept on the property. However, those plans have been scrapped. But it doesn’t mean Vega’s not interested in bringing a Chicken Fiesta to the area around Manchester. 1 Comment on "Chicken Fiesta taking seconds in Midlothian"
Awesome building reuse and news for Midlothian. The food is incredible and the stores are centers of activity. Always busy.